Getting a new smartphone safely online is now an easy task. 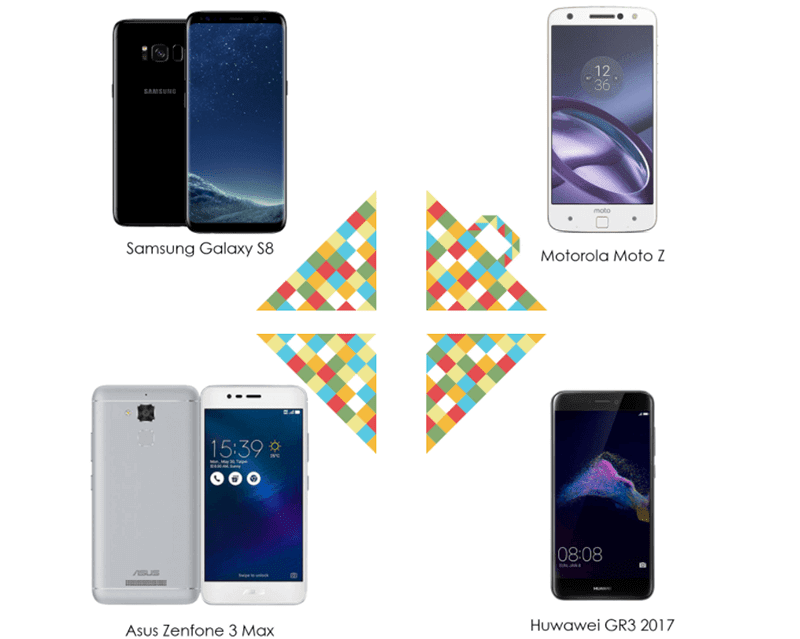 In relation, Adobomall's Tech Zone came up with a list of their highly recommended smartphones. The good news? Most of them are included in our top recommendations for their respective price ranges well. Let's begin! 1. Samsung Galaxy S8 / S8+ - The Samsung Galaxy S8 ranks among the very best in the world of smartphones today. It's equipped with a beautiful 5.8 and 6.2 inch WQHD screen paired with powerful internals all over. Both the back and front cameras are top notch as well. Price starts at PHP 39,990. 2. LG G6 - This device is the rival of Galaxy S8 series, it boasts a 2:1 movie grade display at 5.7 inches on a very small yet tank like metal build. The phone is also loaded with very good internals and overall specs. On the cameras, it has a dual camera setup behind with wide angle lens. It retails for PHP 37,990. 3. Motorola Moto Z - The company's current flagship boasts the Moto Mods. Those are attachable accessories to the Moto Z that can improve its performance or add more features. The handset also has great specs all over. It's priced at PHP 33,990. 4. OPPO F3 - If you love taking selfies to the next level, this handset is a must consider. The OPPO F3 is equipped with premium design, better FHD screen, octa core chip, 4 GB RAM, 64 GB storage, bigger 3,200 mAh battery, fingerprint scanner, 13 MP main camera, and a pair of high-quality 16 MP + 8 MP dual front cameras with wide angle support. It's priced at PHP 16,990. 5. Huawei GR3 2017 - On a budget, this is one of the most stylish and most powerful phone under PHP 10K! It boasts a sandwich curved glass design, powerful Kirin 655 octa core chip, 3 GB RAM, 3,000 mAh battery, and a great performing 12 MP main camera w/ f/2.2 aperture lens, 1.25μm pixels, and PDAF focus. It's priced at just PHP 8,990. 6. Asus ZenFone 3 Max ZC520TL - If in need of a handset with big battery capacity on a tight budget, the Asus ZenFone 3 Max ZX520TL can deliver. It has 4,100 mAh of juice that can last up to 2 days on a single charge. It retails for PHP 7,995. Visit www.adobomall.com to view more items.